Use this credit-card sized computer as a platform to innovate or nurture your passion in electronics and computing. Develop cool applications or conceptualize any ideas that you think are disruptive and stand to win cash prizes. What’s more, you will have a chance to get noticed and invited to apply for additional funding of up to $10,000 from NTUitive to further develop your ideas or prototypes into a viable business. All entries for the competition will be judged by an independent industrial panel. 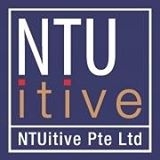 This competition is open to all registered students of NTU. Each team should consist of not more than 6 participants with at least 50% team members of being full-time registered EEE students. Students from the Renaissance Engineering Programme (REP) are also eligible to participate. There is no restriction on what you can do, as long as your prototype is based on the use the Raspberry Pi as the main processing unit or an add-on to Raspberry Pi to make it more useful. You may participate as individual or as a team. Each registered team is entitled to acquire a Raspberry Pi 2 model B board worth about $50. The Judging Panel will evaluate each project based on novelty and innovativeness. The preliminary round of evaluation will be based on reports and short interview. After the preliminary round, a final round of judging will be conducted to determine the winner. The finalists will be required to make a presentation and carry out whatever live demonstrations to show the merits of their work before the Judging Panel. Prizes and certificates of achievement will be awarded to winners of the competition. Merit and Commendation: Up to 5 awards of $100 each.